“Devin Nunes is someday going to be hailed as a great American hero,” Trump told Fox News‘s Sean Hannity of the California Republican. “They tried to destroy that man because he spoke up for good and just and all of the things that you have to speak up for but most people don’t have the courage to do it,” the president added. Nunes, the top-ranking GOP congressman on the House Intelligence Committee, has been a fierce Trump ally for the past two years. Trump’s comment about Nunes comes in the wake of last weekend’s release of the key conclusions from special counsel Robert Mueller‘s Russia investigation. Mueller found, after nearly two years, that there was no evidence to prove Trump’s 2016 campaign team colluded with Russia’s government during the presidential election. The House Intelligence, led by its chairman Rep. Adam Schiff (D-Calif.), is one of several congressional panels who have been probing Russian interference in the 2016 election. Many conservatives have since called on Schiff to resign, as Democratic lawmakers have called for the full Mueller report — which is said to be over 300 pages long — to be publicly released by next Tuesday. Nunes also made headlines last week for suing Twitter for $250 million for defamation and negligence, citing parody accounts like “@DevinNunesCow” and “@DevinNunesMom” that have since gained more followers than the 45-year-old congressman. 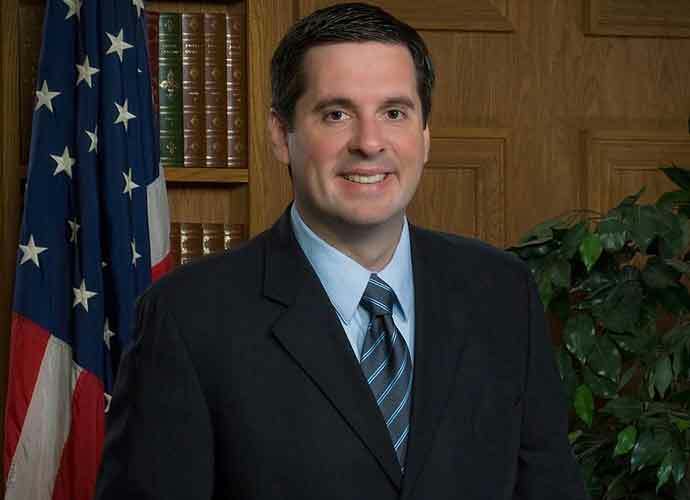 In February 2018, Nunes and other Republicans on the House Intelligence panel issued a memo that accused the Justice Department of abusing its government surveillance powers. Trump also called Nunes an “American hero” at the time in a tweet.